You might be looking for the attire that will increase the charm of your appearance that’s why we offer them Kara leather jacket that is available in the grey color that you can wear casually or eventually for a classy look among all. 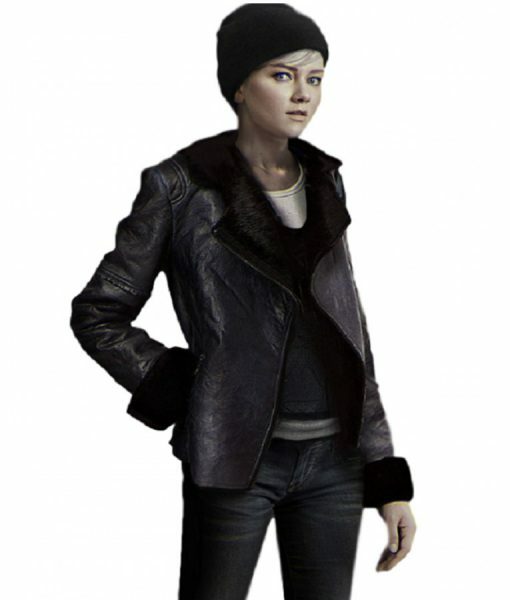 The jacket is inspired by the game Detroit Become Human in which Valorie Curry wore this attire as Kara in the game. The Detroit Become Human Kara jacket is finished by faux leather with shearling lining that will make you feel comfortable and relaxed throughout the day. The features include wide lapel collar and front open style that will enhance your look. Check the shearling cuffs that look appealing when wearing it. Two waist zipper pockets are available in which you can keep your valuables secure in it. So, what are you waiting for? Just have your best piece and amaze the viewers.